Don't need a penny to make your tired body pampered in healing water. Half a mile behind village of Kalameny ends a narrow forest asphalt road. 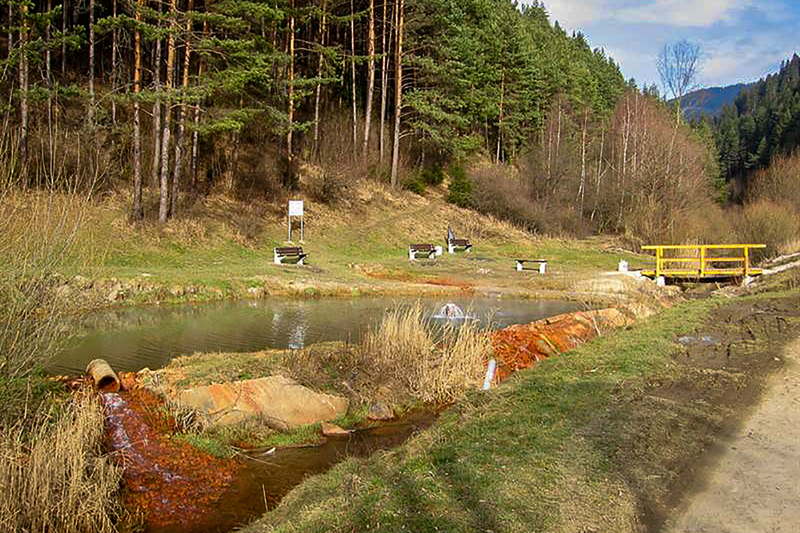 There is the thermal spring called Medokýš and lake with thermal healing water. 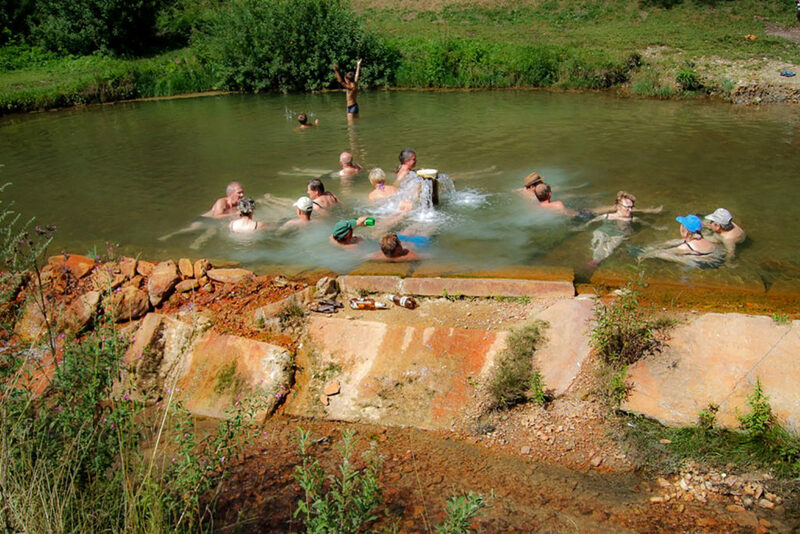 Local enthusiasts built an artificial lake measuring about 20 x 10 meters, deep on the knees around borehole. Water gets on surface from well deep 600m and 34 degree Celsius hot (93F). It is slightly mineralized with a weak sulfuric odor and crystall clear. Just dig a hole with your legs in the gravel near the pipes and they are like in the whirlpool. 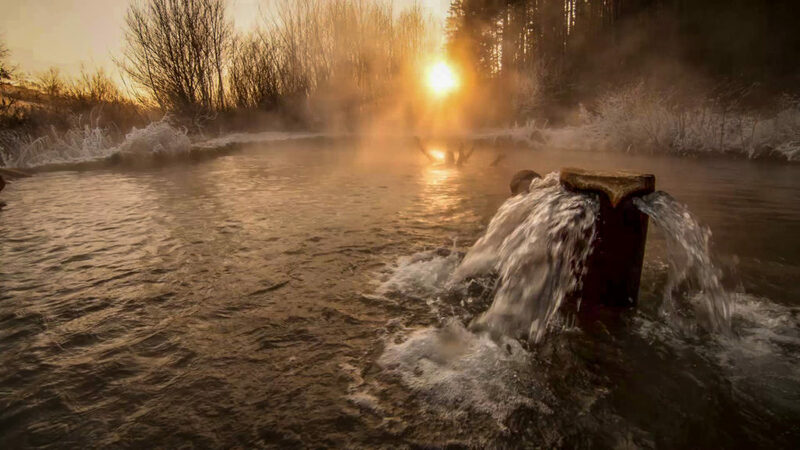 Water here is very similar with its chemical composition to that of the Lucky Spa. It is saturated especially with calcium, magnesium and sulfur. You can feel the sulfur "healing smell" if you bendover to water surfce. You can meet in pleasant water of the lake local people, tourists coming back Liptov's Castle, but also people who stays there under tents for a few days. 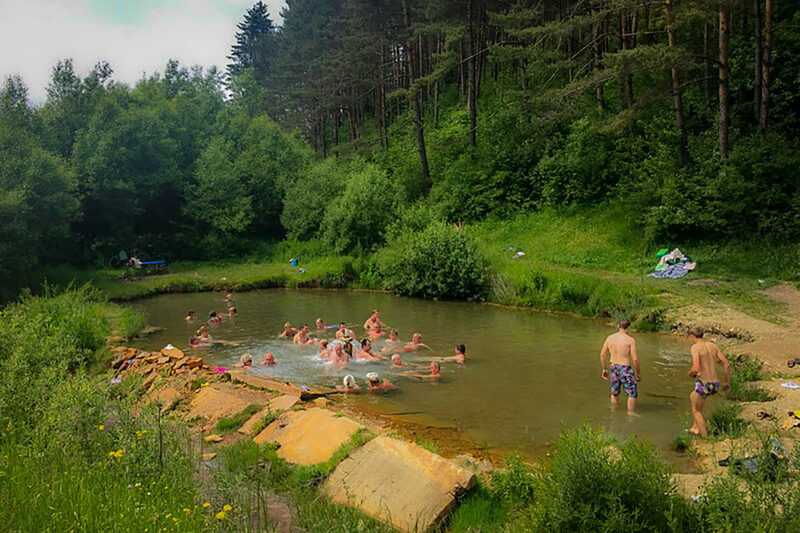 During the week from 3 to 10 people stay in the pond, but it is quite full during the weekend.